You are here: Home / Knowledge Base / Knowledge Base / Exchange 2013: What’s New for Transport Rules. Exchange 2013: What’s New for Transport Rules. In Microsoft Exchange Server 2013, several improvements have been made to transport rules. This topic provides a brief overview of some of the key changes and enhancements. Data loss prevention (DLP) features in Exchange 2013 can help organizations reduce unintentional disclosure of sensitive data. Transport rules have been updated to support creating rules that accompany and enforce DLP policies. The functionality of transport rules has been extended via the addition of new predicates and actions. Each predicate listed below can be used as a condition or an exception when you’re creating transport rules. For detailed information about using these new predicates and actions, see Transport Rule Predicates and Transport Rule Actions. AttachmentExtensionMatchesWords Used to detect messages that contain attachments with specific extensions. AttachmentHasExecutableContent Used to detect messages that contain attachments with executable content. HasSenderOverride Used to detect messages where the sender has chosen to override a DLP policy restriction. MessageSizeOver Used to detect messages whose overall size is greater than or equal to the specified limit. SenderIPRanges Used to detect messages sent from a specific set of IP address ranges. GenerateIncidentReport Generates an incident report that is sent to a specified SMTP address. The action also has a parameter called IncidentReportOriginalMail that accepts one of two values: IncludeOriginalMail or DoNotIncludeOriginalMail. choose to reject the message and notify the sender. StopRuleProcessing Stops the processing of all subsequent rules on the message. 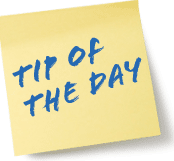 ReportSeverityLevel Sets the specified severity level in the incident report. Values for the action are: Informational, Low, Medium, High, and Off. RouteMessageOutboundRequireTLS Requires Transport Layer Security (TLS) encryption when routing this message outside your organization. If TLS encryption isn’t supported, the message is rejected and not delivered. Support for extended regular expression syntax Transport rules in Exchange 2013 are based on the Microsoft.NET Framework regular expression (regex) functionality and now support extended regular expression syntax. Transport rules agent invocation The key architectural change in Exchange 2013 for Transport rules is the Transport Rules Agent is invoked on onResolvedMessage. In previous versions of Exchange, the Rules Agent was invoked on onRoutedMessage. This change allowed us to add new actions, such as requiring TLS, which can change how a message is routed. To learn more about the transport rules architecture in Exchange 2013, see Transport Rules. Exchange 2013: What’s New for Transport Rules. Detailed information about Transport rules is now included in message tracking logs. The information includes which rules were triggered for a specific message and the actions taken as a result of processing those rules. New rule monitoring functionality Exchange 2013 monitors Transport rules that are configured and measures the cost of running these rules both when you’re creating the rule and also during regular operation. Exchange can detect and generate alerts for rules that are causing delays in mail delivery. https://www.comprompt.co.in/wp-content/uploads/2017/04/comprompt-logo.png 0 0 Web Technology Comprompt https://www.comprompt.co.in/wp-content/uploads/2017/04/comprompt-logo.png Web Technology Comprompt2013-04-20 05:23:122017-01-20 13:21:45Exchange 2013: What's New for Transport Rules.